Eight indoor ice skating rinks. Five locations in Columbus, Dublin, Worthington and Lewis Center. We're the OhioHealth Chiller. 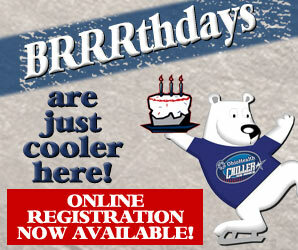 And we're the coolest place in town for ice sports and recreation. 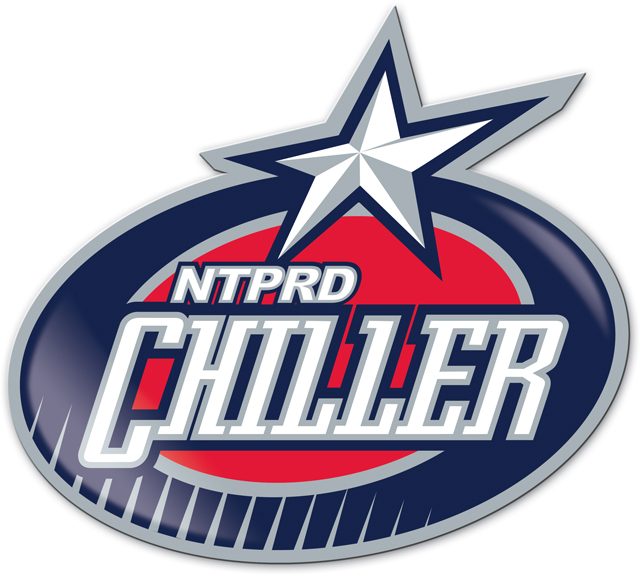 Owned and operated by the majority owner of the National Hockey League's Columbus Blue Jackets, JMAC, the OhioHealth Chiller is central Ohio's family entertainment place. OhioHealth Chiller Ice Works is the single-rink home to the Capital Amateur Hockey Association, Worthington Kilbourne High School Hockey, Westerville High School Hockey and Columbus Bandits Women's Hockey. Drop-In Hockey and Stick & Puck sessions available to the public. Free wi-fi. Directions: From I-270, take US 23 South toward Worthington and turn left onto E. Wilson Bridge Road (first traffic light). Follow E. Wilson Bridge over the railroad tracks, and the rink on the right. OhioHealth Chiller North features two NHL-regulation rinks, ten public dressing rooms, 1,000 spectator seats, an enclosed second-story viewing area, Crossover Sports Pro Shop and the Ice Box snack bar. Home to Olentangy High School, Olentangy Orange, Olentangy Liberty, Thomas Worthington High School and Worthington Kilbourne hockey; and Capital Amateur Hockey Association. Youth and adult hockey leagues, skating classes, public skating, birthday parties and private group events. Free wi-fi. Directions: Take I-270 north, then take the US 23 heading north. Turn right on Rte 750. Make an immediate left on Green Meadows Drive North and a left on Highfield Drive. OhioHealth Chiller Dublin is a dual-rink facility featuring two NHL-sized rinks, the Ice Box concessions stand, 12 locker rooms and a multipurpose room. Home to Columbus Chill Youth Hockey Association, Dublin High School Hockey Association, Hilliard Hockey, the Greater Columbus High School Club Hockey League, as well as several annual hockey tournaments and special events. Directions: Take I-270 north to exit 17B. Travel west on SR 33 and take the second exit, Post Road/Plain City, and turn left. Turn left onto Cosgray Road. The Chiller is located one-half mile on the left in the Sports Ohio complex. OhioHealth Chiller Easton is a dual-rink facility with one NHL-sized rink and central Ohio's only international-sized rink. Featuring the Ice Box concessions stand, ten locker rooms, Crossover Sports Pro Shop and a multipurpose room. Home to the Easton Youth Hockey Association, Gahanna High School Hockey, Pickerington/Reynoldsburg High School Hockey, the Northeast Storm, Westerville High School Hockey the Greater Columbus High School Club Hockey League, as well as several annual hockey tournaments and special events. Also home to central Ohio's first and only short track speedskating club. Directions: Take I-270 north to the Easton exit. Turn right onto Morse Crossing. Just past the Market at Easton, turn left onto Chiller Lane. The Chiller is on the right. OhioHealth Ice Haus at Nationwide Arena is the practice home of the NHL's Columbus Blue Jackets. This one-of-a-kind facility is home to St. Charles High School Hockey, Upper Arlington High School Hockey, Ohio AAA Blue Jackets, Hilliard High School Hockey, the Greater Columbus High School Club Hockey League, and is often used by visiting NHL teams. Youth and adult hockey leagues, public skating, birthday parties and private group events. Free wi-fi. Directions: Take the Neil Avenue exit off I-670. Turn right onto Neil Avenue. The Dispatch Ice Haus is on the left-hand side, facing Neil Avenue.